Photography gives us the precious gift of being able to step momentarily into another world. To absorb ourselves and let go of our minds that are filled with every day stresses and problems. This applies to both in the taking of an image and also in the viewing of final imagery. There have been several studies that show that experiences in or of nature are beneficial to health and well being. Nature scenes have been shown to improve anxiety levels, self esteem and stress levels. I live in a place filled with amazingly serene and quietly beautiful landscapes. 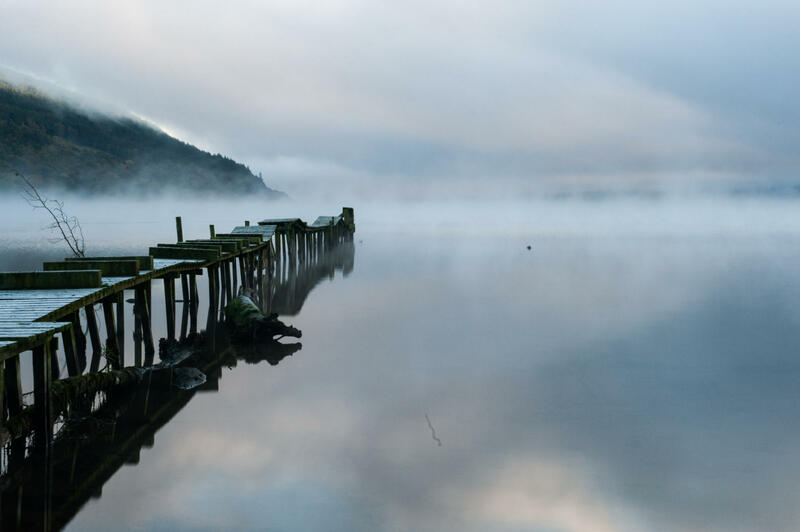 From my doorstep to my favourite place, an old pier jutting out into loch ness, it is just a 15 minute walk. It is a place of special meaning to me and somewhere I often go by myself. My images go beyond the recording of a scene and I hope to show how it feels to be standing in a scene that affects me. I seek out quiet and serene places and share them. In turn, I hope the viewer can gain from these places as well. This is an area I am looking to work more on and I have been studying the power of imagery in healing for a while now. My thoughts turn back to my favourite place on loch ness. One early morning, just after hearing a good friend had passed away, I headed down there at 6 am. My heart told me to go and make images and this somehow helped me process and deal with what had happened. A year later, I was first on scene and helped out at a multi fatality accident. Upon finally arriving home that evening my first and only instinct was to grab my camera gear and head down to the pier and create images. On both occasions my reaction was completely instinctive and not thought through in anyway. Every part of me needed to be alone and in the most calming place I knew. I also needed to create images. These are extreme examples – My photography isn’t always driven by such extremes. However, it is always driven by the need to seek out quiet places, calm the mind and be fully present within the beauty of the landscape around me.